Outstanding! I nominate it for #1 on the top 40! The walls are closing in on Maliki with the reduction in upper level government staff and hopefully he won't be able to negotiate a new place in the government to seek protection from prosecution. The Maliki appointed CBI Govenor looks really bad with the last minute bombshell of the sewer soaked 7 Billion Dinar. We need a seated government followed by a big ROUND UP of corrupt officials. This should go a long way to proving to the people of Iraq that their government is working on their behalf. Approval of the HCL and a currency with newly issued lower denominations plus an associated rate change. I have been hanging on the edge of my seat for many years but this country does not move fast on anything. At this point I'm thinking 2019 although the pressures of sanctions on Iran along with the dollar and oil squeeze may force it into this year which I truly hope so because I'm tired! 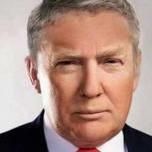 A few years ago during one of our election cycles there was some middle east crisis in the news and a congressman from some east coast state made a comment something like.... "You can't trust anybody with a Dairy Queen tablecloth and a fan belt on their head". He conveniently disappeared from the scene never to be heard from again. At this stage of the game with so many things I have read and the corruption that is rampant in Iraq I am truly ready for this ride to be over not to mention that I sorta share that politicians sentiment. The FAANG Stocks are two rich for my blood. They are fun to watch! I rode in a Tesla Model 3 the other day and I was quite impressed by it's features and benefits along with the ride and quiet cabin. The stereo was high end home audio and you could even play video games. All in all.. Tesla was super neat technology that I would consider owning at some point. I am an avid fan and customer of Amazon. It's convenient , fast, easy if you need to return something ( on that note I don't know how ebay stays in business) and Amazon is competitive on many items. Oil is really a risky sector to say the least. I've been watching some potential oils stocks for months and I have seen them take big hits just in the last few weeks. Don't know if I will play even at the low prices I'm seeing today. CRYPTO - Well that is equally as confusing as oil. I dabble in several coins now and some alt coins but I am down at least on the alt coins as much as 50%. I am hopeful that they will return and soar way beyond my expectations but who knows. Markets are jittery and I think people are anxious to see what happens with the change in congress. Hopefully we can continue moving forward and hopefully our current state of political misery will subside and people can just agree to disagree like we always have and still continue to move forward. I am glad Texas stayed RED and hope that all our elected officials work together to keep this country great. GO DINAR! Happy 77th and thank you for an outstanding first post. Great read! Go iIraq! Go small business! Go Freedom! Go RV! At my age I am not gonna get excited until I read an article that states "very soon". I will then be primed for a + or - 3 year window plus or minus a soon or two. There is no need to fear UnderDog is here! Master Yota Hits 40,000 Posts - The World's Hardest Working Newshound ! You Da Yota Man! You are Greatly Appreciated Sir! SHOW HIM SOME LUV ! A breath of fresh air! Thanks for sharing. HASH...Yeesh! Boy am I glad that's over! Abadi is the type of calm and tolerant leader that is a light to the Middle East. I pray for his safety and his continued good works so that others may follow and lead in all areas of Iraq by his example. Scoopster replied to jdb457's topic in Dinar-ify me! Dinar-ify me please. VIP off and on since 2010. Current 3 month membership expires April 10th and will probably re-up as a platinum. Thank you! So if the original owner bought it from a reputable dealer I just need to have a copy of that and my cancelled check in order to prove ownership? Do I need a bill of sale signed by the original owner? Does it need to be notarized? 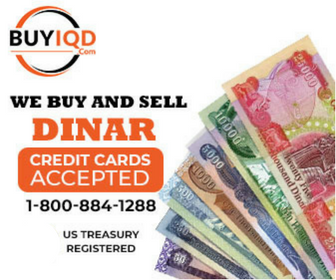 Does anybody know if you need anything other than your cancelled check to document the sale of dinar from one person to another. If something else is needed what would that be? Your input would be appreciated. Thank you!